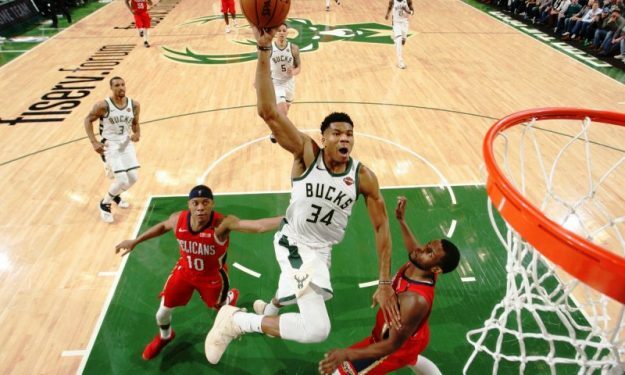 Giannis Antetokounmpo and Luka Doncic are stealing the show in the All-Star Voting. European stars are among the standouts of the All-Star voting as the first announcement of the fans voting confirmed. Slovenian rookie Luka Doncic is second in the Western Frontcourt, only behind LeBron James and in front of Kevin Durant. Meanwhile, Giannis Antetokounmpo is first in the East and a candidate to be a team captain in the All-Star Game. Fan voting only counts for 50% in selecting All-Star starters. The other 50% comes from current players (25%) and a media panel (25%). But it’s the fan vote alone that determines the two captains and the Greek Freak is currently the favorite to be one of them. Only LeBron James currently has more votes than Giannis. Serb center Nikola Jokic is currently seventh in the voting for the Western Frontcourt.